PrecisionHawk has completed the integration of its drone data platform, DataMapper, with John Deere Operations Center, a move that complements the ‘precision ag’ space with streamlined ‘decision ag’ products. 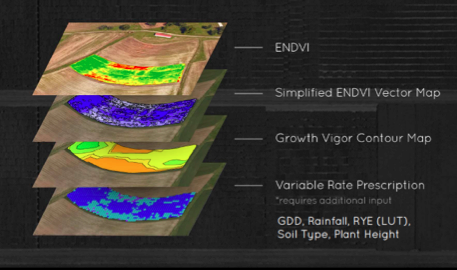 Outputs from DataMapper, such as Canopy Cover, Plant Count, and various Vegetative Indices, are now automatically linked to the grower’s Operations Center, giving growers the power of aerial imagery analytics in software they are already accustomed to using in their crop management decisions. 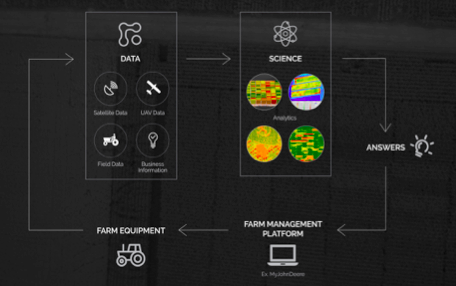 With this integration, growers can quickly visualize processed and analyzed drone data within Operations Center’s Field Analyzer, overlaying it with other map products such as yield or as applied application maps. From there, users can download summarized reports and shapefiles created from processed drone data that can be used as the basis for prescription maps for variable rate applications or plant and soil sampling regimes. From the beginning, PrecisionHawk’s goal has been to create a seamless process for businesses seeking solutions with drone technology, while focusing on data integrity and security. For us, this means building tools that work together from data collection to processing and analysis all while giving the grower full control over their data, from who can view it to how the information is applied. By combining elements of hardware and software in a single pipeline, we can extract the business value of drones consistently and reliably. In a similar way, growers have sought creative ways to place their decision-making tools in one aggregated place, and aerial information is one of those important data layers. Last week at the ‘Develop with Deere’ Conference, PrecisionHawk development experts were able to explain how its DataMapper, working with Operations Center, acts as the easiest entry to using drone data in agriculture. And best of all: growers have instant access through Operations Center. Precision agriculture technology, including aerial data collected by drones, serves as an accelerator to the decision making process whether that’s monitoring inputs and time to increase overall production efficiency or more accurately predicting yield. For additional information on how you can get the most out of this collaboration, send us an email at dealers@precisionhawk.com.